Citizens of Flour Bluff were educated on area development plans (ADPs) at the July Flour Bluff Citizens Council general meeting where Dan McGinn, Director of Planning and Environmental Strategic Initiatives, defined what area development plans are, how they are connected to Plan CC, the city’s comprehensive plan, and plans for re-writing the nine area development plans, including the Flour Bluff ADP, which has not been revised since 1993 even though the 1987 Comprehensive Plan stated that all plans would be reviewed and revised every five years. 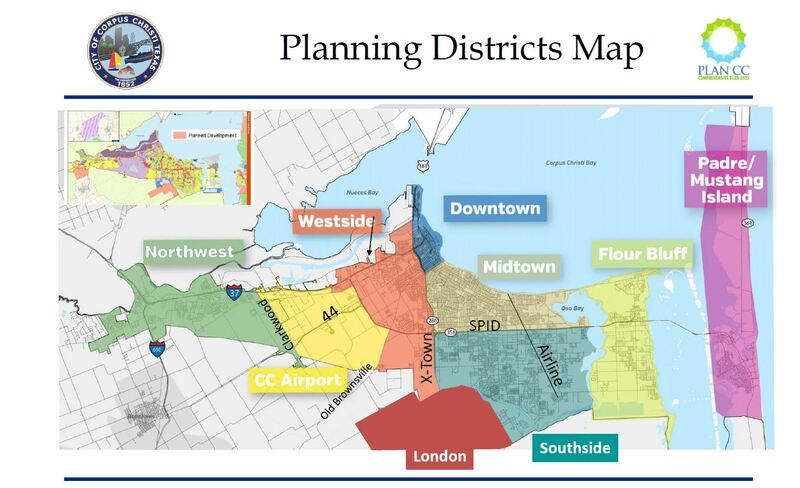 Those in attendance were encouraged to look around the Flour Bluff community and take note of improvements, enhancements, or changes needed or wanted in the community in order to be prepared for future FBADP meetings when the real planning begins. They were asked to look to the future and envision Flour Bluff in 20 years, a daunting task to say the least. Flour Bluff encompasses an area of about 18 square miles and is home to 22,876 (according to the 2014 counts), which is about 7% of the total population of Corpus Christi, according to a presentation given by McGinn to the Corpus Christi City Council the day after the FBCC meeting. Until the Ropes Boom around 1890, Flour Bluff was for the most part inaccessible except by boat. 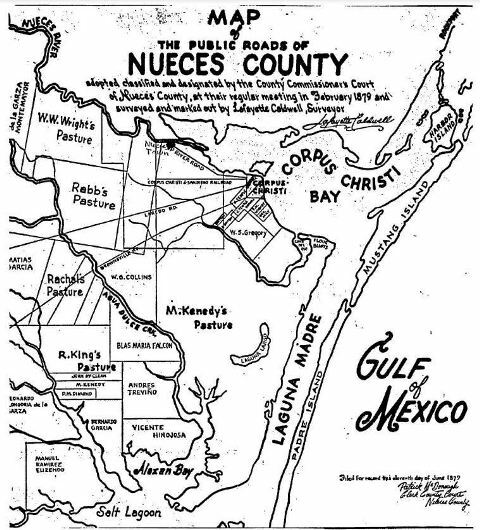 Flour Bluff Point, where NAS CC sits today, was identified by the 40-foot dunes that graced the landscape. This area attracted activity (i.e. fishing, packing plants, trade routes) on the perimeter of the Encinal Peninsula, but actual long-term settlements did not take root until the Ropes Boom around 1890. It was then that the few families who moved into the area began building houses (which they moved frequently); fishing; farming; raising dairy cattle; establishing a post office; starting a school; and building bridges across the Oso and eventually across the Laguna Madre to Padre Island. They were seeing Flour Bluff as a land of many uses, but without the tethers of local government. All was quiet for a while until oil was discovered, which brought many new families to the area, followed by the biggest growth in population with the building of NAS Corpus Christi. With the Navy base came a water line that would bring a source of water more reliable than the individual wells that had at times gone dry. Electricity, phone service, an independent school district, thriving businesses, a county building with a constable, and other community elements such as churches, sports teams, and civic groups had Flour Bluff functioning as a town, but not officially. By 1950, the talk of incorporation had begun. The people of Flour Bluff, a fiercely independent group, wanted to be in control of what happened on their little piece of the planet, something that has not changed. If they can’t turn back the hands of time and become a town of their own, then they certainly want to have as much influence as possible on what happens in their own back yards. But, who else will have a say-so in the writing of the plan? McGinn explained that other key players would be involved. The Navy still has a great deal of influence over the area, as does the State of Texas, the EPA, and TCEQ. Add to that outside developers, utility companies, and the tourist industry, and the influence of the local citizenry on the plan seems to lose impact. One member of the FBCC said that the plan may be necessary as part of the City Charter, but the people must be vigilant before, during, and after the document is written. “How many people actually read those little rezoning signs that pop up here and there? 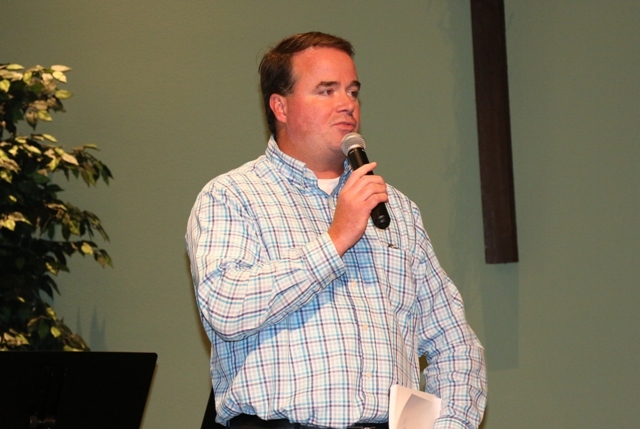 We should make a point of not only stopping and reading them but calling the number to see what is about to happen.” He went on to suggest that the City could add a link to the web page that lists every proposed zoning change so that the citizens can easily attain the rezoning information. This, he thought, would be the most effective way of controlling what happens in Flour Bluff since it is apparent that the area development plans are easily overridden by these zoning changes that go unnoticed unless someone is watching. Melanie Hambrick, Chairperson of the FBCC Committee on the FBADP, has taken on the task of gathering knowledgeable and willing Flour Bluff citizens to take part in the process, but it is the responsibility of every citizen to pay attention to what is going on in their own neighborhoods. Flour Bluff (and Padre Island) is unlike the other areas of the city because it has distinct geographical boundaries created by the Cayo del Oso, the Laguna Madre, Corpus Christi Bay, and King Ranch. The FBADP is also one of the oldest on the list. The map below shows the boundaries of each ADP, while the chart offers the timeline for development of each plan. A group of Padre Island residents recently wrote their own ADP, which was accepted by the City Council in January of this year. McGinn indicated that even this plan would need to be revised with the assistance of Texas-based city planning consultants. The city planning department currently has two full-time employees to take on the task of re-writing the plans. The FBCC meeting was the first of many to come. The FBCC encourages all those who live, own property, or have businesses in Flour Bluff to stay abreast of this issue and consider taking an active role in the planning process. The FBCC will post information about upcoming meetings on its website and Facebook page. In the meantime, it might be a good idea to watch the city council meetings on television or in person, take note of zoning changes in the Flour Bluff area, and stay connected with the community so that the citizens can work together to preserve what is great about this little community while improving the areas that are in need of upgrades. Flour Bluff School No. 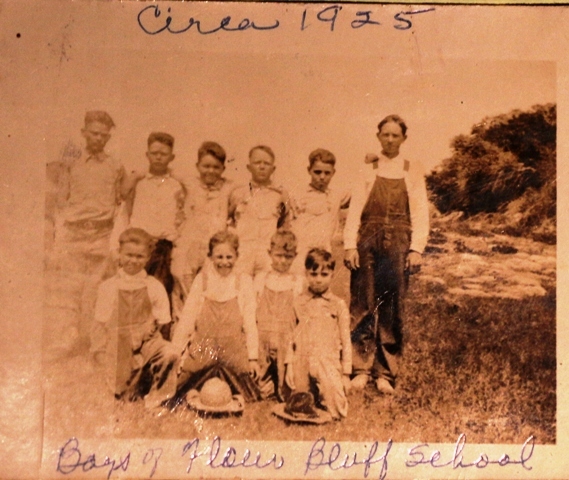 1, pictured in 1916, first known as Brighton School, was located near the present Junior High School, at the corner of Duncan Cemetery. 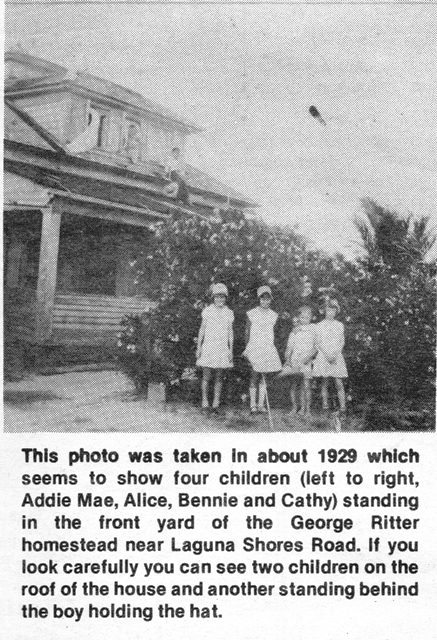 “Back in 1890 there were few families living in Flour Bluff, and it was not until about 1892, during what is known as the ‘Ropes Boom’ that enough families moved in to justify the establishment of a public school. About this time, however, the enterprising settler of this community began to give serious consideration to the education of their children and established a small, one-room school building in the autumn of 1892. Mrs. Carter was engaged as the first teacher and took up her work with 25 pupils enrolled. The term was six months and the salary $25.00 per month. The school continued, but in 1900 the enrollment decreased to 12 pupils with Miss Florence Secoy as teacher. The term was cut to four months, and the teacher received as her salary $3.00 per pupil. Board and lodging was provided by the patrons free to the teacher, and she stayed in first one home, then another, as the guest of the family. 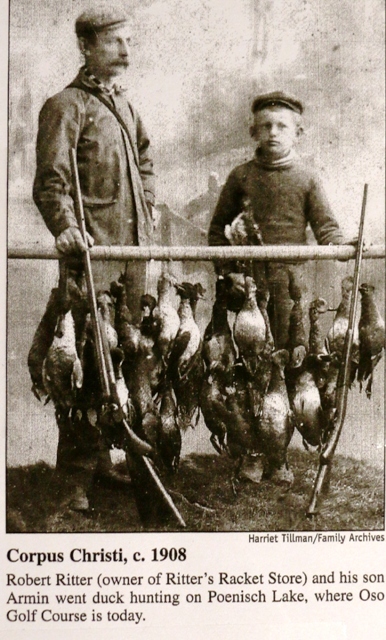 The school continued in this manner until 1908, but from 1903 to 1908 was closed due to the small number of children and the only instruction carried on in the settlement was of a private tutelage, where such could be secured. “But in 1908, the doors of the public school were again thrown open. New families had moved in. New trustees Mr. G. H. Ritter, Mr. Joseph Watson, and Mr. Edward Sidney Duncan were elected, and Mr. Owens was elected principal to take charge of the school at a salary of about $25.00 per month and a seven-month term. There were at this time some 20 pupils. “For the next eight years, the school prospered under the leadership of good teachers, among whom was Miss Inez Emory, who taught three years of the eight. The school had grown during this period to the point where the building and equipment seemed inadequate, and new two-room school was planned and construction started. The framework of this building was completely demolished by the storm August 18, 1916, but was rebuilt, and school opened in November following with two teachers, Mrs. Walton Clark and Miss Anna Ritter. “In 1919, a three-room teacherage was erected and other improvements made. A few years later, the school was divided and another building erected for the purpose of accommodating those children who were living too far from the first school. “The present teachers are Mr. Frank Kadanka, principal of School No. 2, and Miss Opal Wynn, principal, and Miss Melba Buford assistant, at School No. 1. 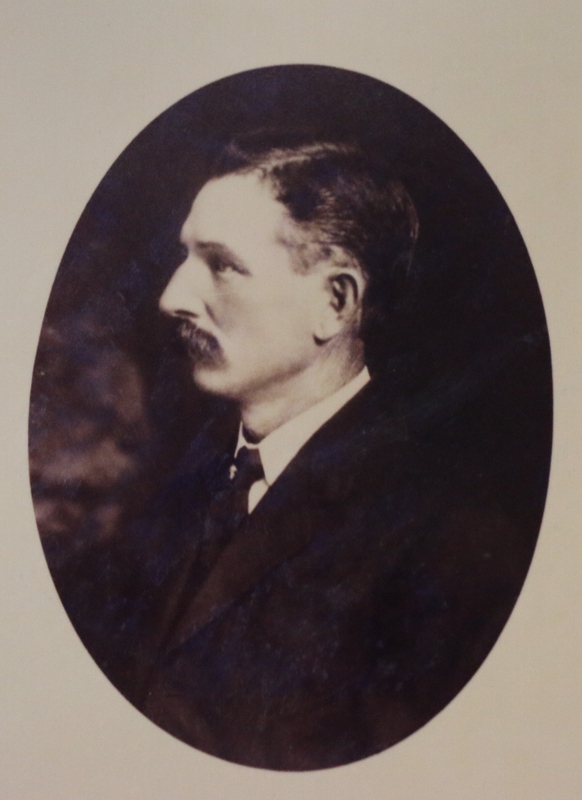 The trustees are Mr. E. C. Ritter, secretary; Mr. J. I. Gate, president; and Mr. J. H. Roberson, member. Harmony prevails in the district and some very fine work is being accomplished. The schools are very well equipped and the teachers well trained. The trustees are to be commended for their fine spirit of cooperation and progressiveness. They are interested in providing the best school possible for all the children of the district. “In 1928 both auxiliary schools (2 & 3) were dissolved and all students went to the #1 school on the present site on what is now Waldron Road. 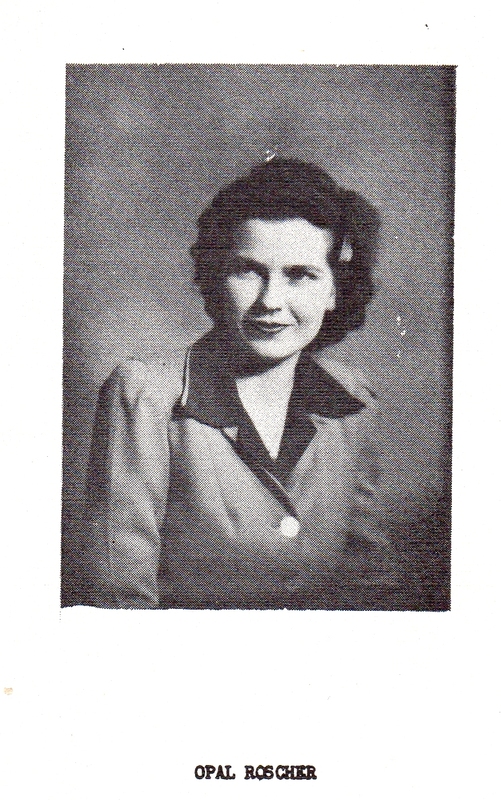 “In 1936 the first graduation was held with one graduate, Opal Roscher. She had been a teacher’s aid in her senior year, teaching 5th grade history. “In 1937 on the same site as the #1 school, a new brick school was built with multiple rooms and courses offered at high school level, such as bookkeeping, typing and commercial law. They were taught by Sam L. Chandler who was also the basketball coach. Teaching English was Julia Kaminka, who was also the senior class sponsor. The principal was Mr. Hill. Mrs. Hill taught elementary school. 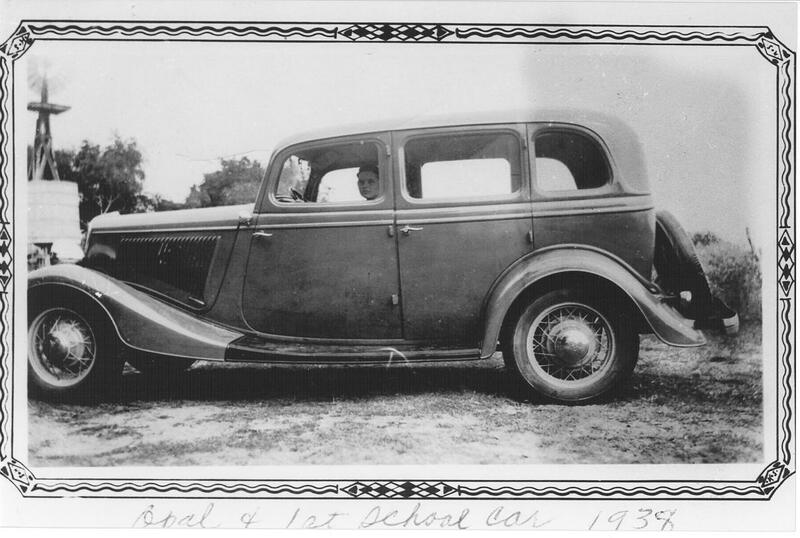 The school system furnished a 1932 Ford sedan for transportation of students on the west side of Flour Bluff bordering the King Ranch. he felt comfortable to stay. Opal decided to return to school and take business courses. In the years that followed, Karen Howden, local historian and former U. S. History teacher at Flour Bluff I.S.D., writes in “Flour Bluff Schools: A Notable History” what and who changed the school historically. 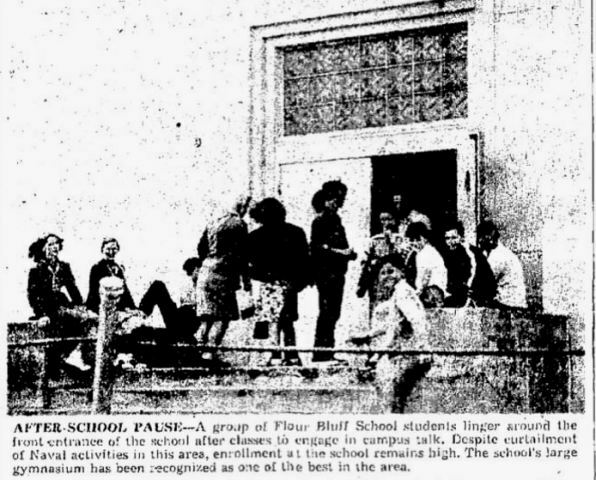 “The residents of Flour Bluff voted to become an independent school in April 1948. Superintendent Ernest J. Wranosky expanded the boundaries of the district to 56 square miles of land surface and 100 square miles of water surface. Every year, the district committed to a construction project which utilized government surplus along with local and student labor. 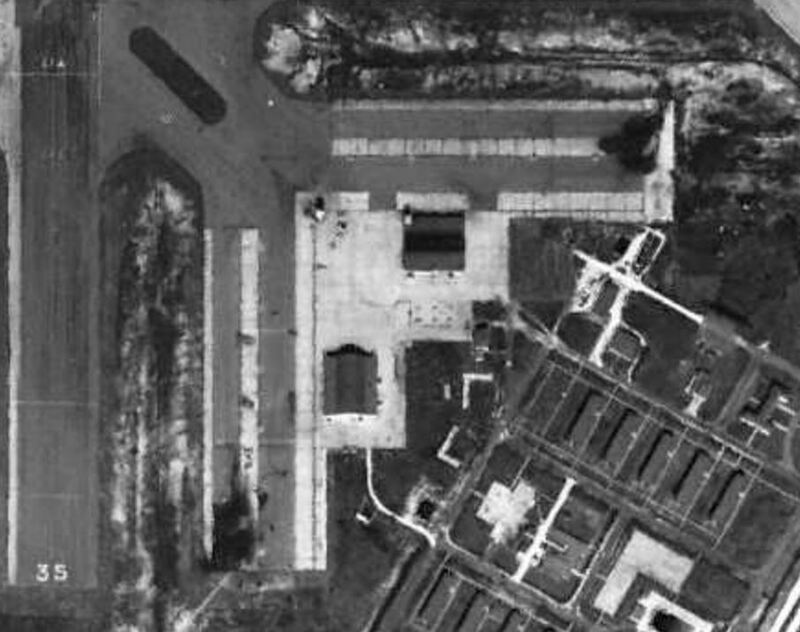 One such project consisted of dismantling a hangar at Fort Point at Point Bolivar, Galveston, Texas, by using district equipment acquired from the Texas Surplus Property Agency and manual labor provided by the Flour Bluff students. The surplus hangar was trucked and then floated to Flour Bluff where it became the new gymnasium for the school district. Hornet Country: All who live within the boundaries indicated on the map are eligible to attend Flour Bluff ISD free of charge. Those outside the boundaries may pay tuition to attend. Flour Bluff continues to make history, as is evidenced by the string of accomplishments over the years. The following list does not include the awards received locally by students, faculty, and staff. To be a Hornet is to be a part of a rich history steeped in hard work and a pursuit of perfection. As in the Flour Bluff Alma Mater, “All hail to those that came before us and made us so strong. We will never falter or do you wrong!” Happy 125th Anniversary, Flour Bluff I.S.D. You continue to make us proud. 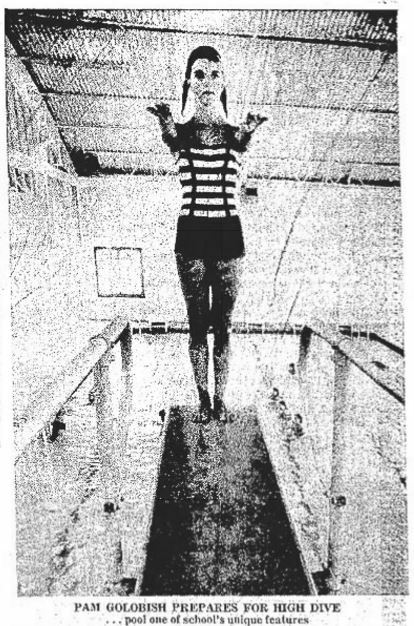 This picture was published in the Brazosport Facts on June 6, 1976. “Make a loose fist of your hand. Imagine that the fingers and palm are the major part of Corpus Christi. The space between them and the thumb corresponds roughly to Cayo del Oso. The thumb is Flour Bluff,”wrote Bill Duncan in a Corpus Christi Caller-Times article from 1963. 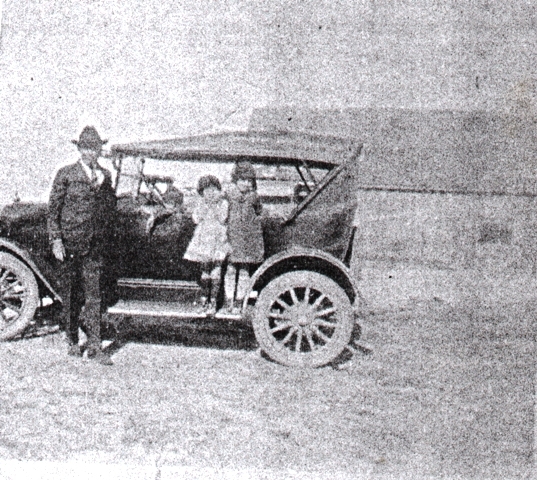 He, like many others, agree that the geographical location of the Encinal Peninsula greatly affected the historical – and even current – events of the area. Though settlement of the area did not occur until the turn of the 19th century, this sandy “digit” attracted some human activity. With the discovery of several burial sites of the Karankawa Indians (Carancquacas) on the shores of the Oso, one could logically conclude that these nomadic people would travel across the shallow Oso waters onto the great “thumb” seeking fish, shellfish, and turtles. These were staple foods for the pre-historic people called “dog-lovers” or “dog-raisers”, who, according to Carol Lipscomb, writer for the Texas Handbook Online, “kept dogs that were described as a fox-like or coyote-like breed.” The name Karankawa was a general designation of several bands of Indians who shared a common, though limited language, including the Capoques, Kohanis, and Kopanes. According to one source, the Karankawa word for “dog” translates to “kiss.” In addition to their limited vocabulary, they communicated with whistles, sighs, and guttural grunts. 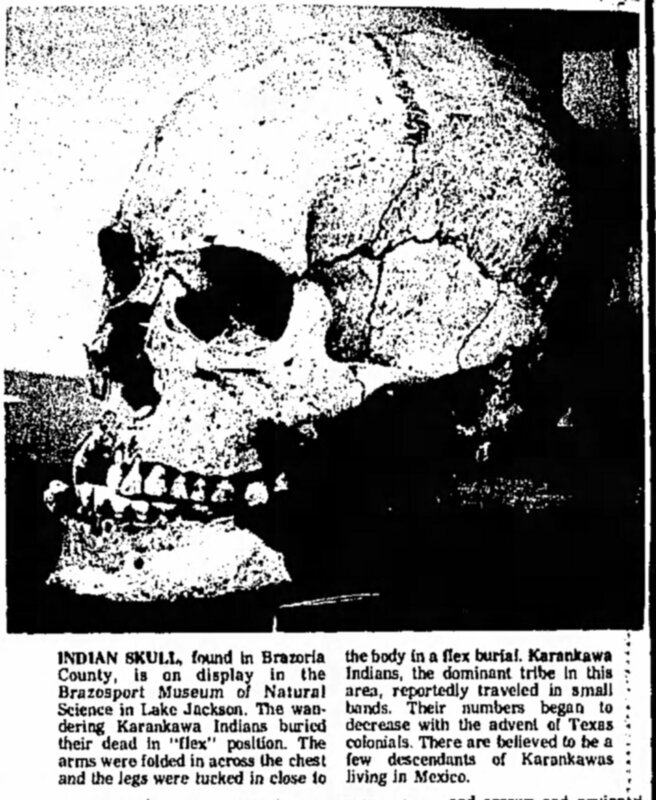 Most accounts of this extension of Paleo-American man claim that the Karankawa tended to travel in groups of 30 or 40 and broke into smaller “family” units to facilitate foraging. They could be hostile and warlike – even in their “play.” Givens relates in his article that Cabeza de Vaca was kept as their prisoner for years after he was shipwrecked on a barrier island in 1528. Twenty years later, all but two of a group of 300 survivors of a shipwrecked Spanish fleet were attacked and killed by a Karankawa band. Linscomb tells us, “Karankawas also participated in competitive games demonstrating weapons skills or physical prowess. Wrestling was so popular among Karankawas that neighboring tribes referred to them as the ‘Wrestlers.’ Warfare was a fact of life for the Karankawas, and evidence indicates that the tribe practiced a ceremonial cannibalism that involved eating the flesh of their traditional enemies. That custom, widespread among Texas tribes, involved consuming bits and pieces of the flesh of dead or dying enemies as the ultimate revenge or as a magical means of capturing the enemy’s courage.” Frequent encounters between the Karankawa and the European explorers, missionaries, and settlers led to many deaths from combat – and from epidemic diseases brought to the coastal areas by the invaders. Though the Karankawa managed to survive 300 years of European contact, 1821 brought a different challenge for the indigenous group. Mexico gained independence from Spain in 1821, and the new government invited Anglo-Americans to the province of Texas. Over the next 15 years, the Karankawa would battle not only with the Anglo-Texans, but also with the hostile Tonkawas and Comanches. By 1836, the number of “dog-lovers” had diminished to the point that they were no longer considered a threat. It is believed that the few who remained moved into Tamaulipas, Mexico, where they suffered attacks from the Mexican authorities and were eventually pushed back into Texas, perhaps back to the shores of the Cayo del Oso (El Grullo), where they slowly disappeared into history. 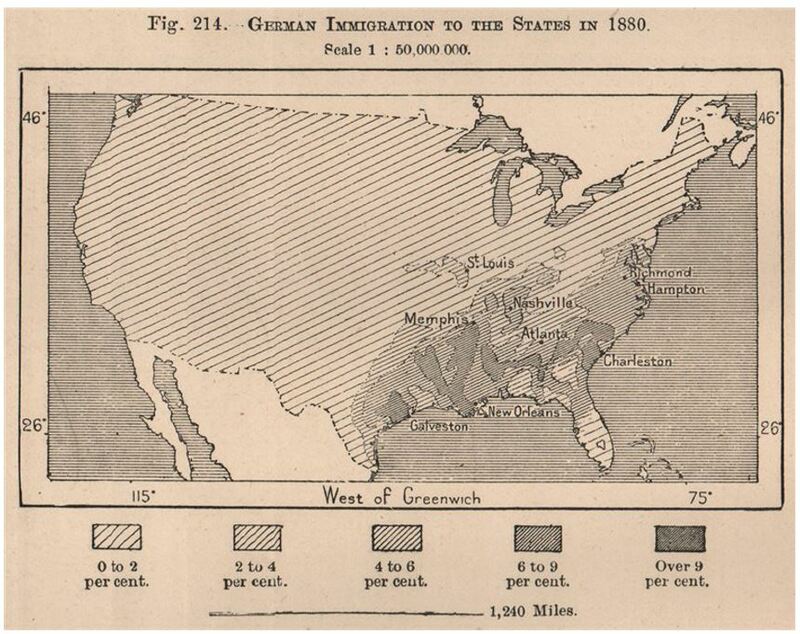 By 1850, Texas and Mexico were attempting to untangle the land ownership of the El Rincon del Grullo, “The Corner of the Grey.” According to Duncan, “It eventually went to Leonardo Longoria de la Garza of Tamaulipas by order of Texas Governor O. M. Roberts. Still there was no great rush to settle the area. 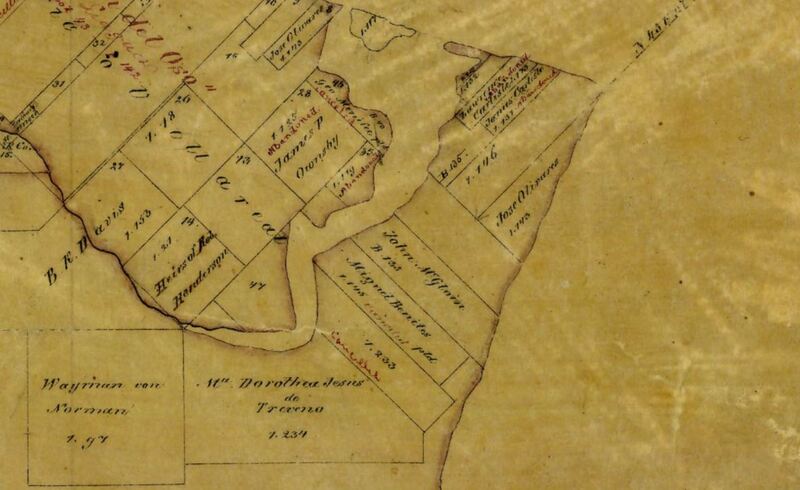 One of the first surveys of the area, which appeared in the map, ‘The Public Roads of the Nueces County,’ and was adopted by the Commissioners Court in February, 1879, lists the entire tract from the Oso to Laguna Madre to Alazan Bay as ‘M. (Miflin) Kenedy’s Pasture. '” The land speculation of the 1800s by a Union colonel, Elihu H. Ropes and others, was responsible for the first breaking up of the large parcel and the arrival of the first settlers. 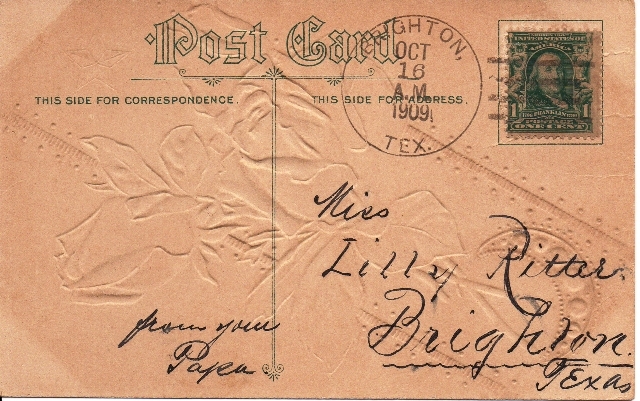 Ropes filed a survey plat May 6, 1891, of the “Laguna Madre Farm and Garden Tracts”, which covered all of present Flour Bluff. It turns out that Ropes actually listed the 18-square mile plat (11,520 acres) as “Flower Bluff (sic) Farm and Garden Tracts”, some say to make the land seem more desirable. There seems to be some question as to whether Ropes ever actually owned land in Flour Bluff. 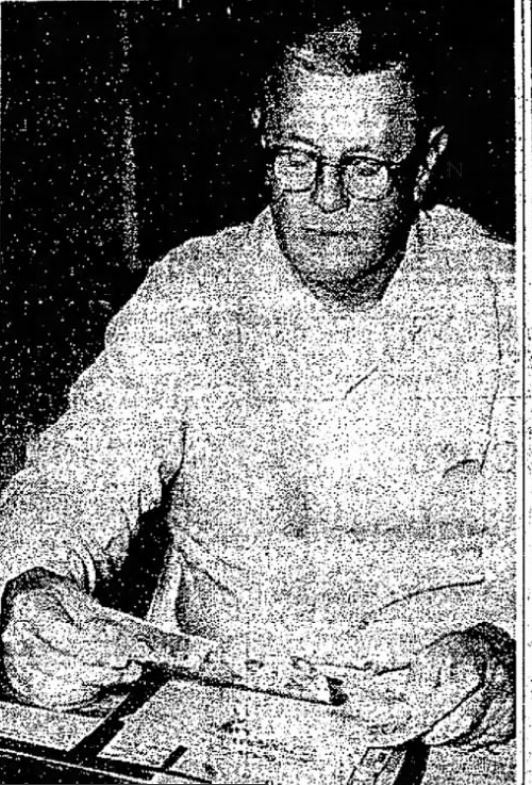 Duncan writes, “More likely is it that the promoter made a deal with owners to survey the land and sell off portions under a ‘lot lease clause’ deal.” Sue Harwood, staff writer for the Caller-Times in 1959 wrote that Ropes did indeed buy the Flour Bluff land at $8 an acre. Regardless, this idea – like the ones that got him run out of town – fizzled. By 1890, the Texas Land Development Co. of San Antonio bought what was left of the peninsula after Kenedy bought much of the original grant from heirs of the Mexican grant. They started selling land between 1890 and 1900. Some of the first to buy this property have descendants living in Flour Bluff today. 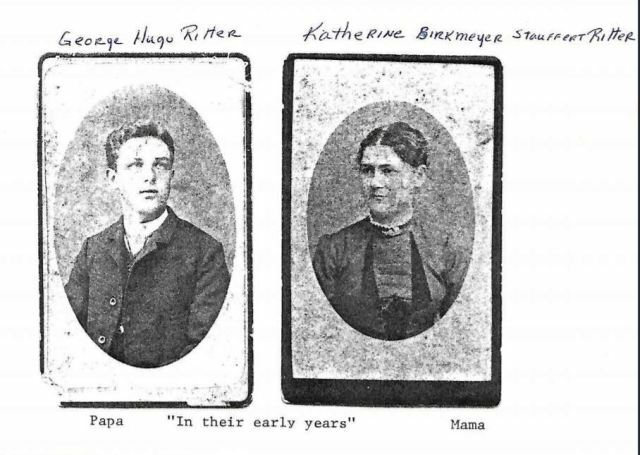 Mrs. Louisa Singer, G. H. Ritter, and E. Roscher were three who became some of the first settlers on the peninsula. 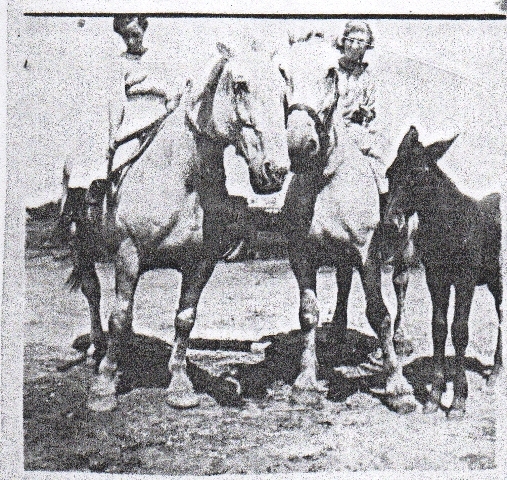 At about the same time, Mrs. Henrietta M. King, who had acquired much of “Kenedy’s Pasture” in a partition of their lands, sold off by 1907, creating the southern boundary of Flour Bluff that joins the King Ranch. There, on the “thumb” between the Oso and the Laguna Madre, families started to take root in Flour Bluff, the little town that almost was. Three weeks ago the Blue Angels blew into the Bluff like a band of barnstormers. In the days prior to the big event, they roared through the skies leaving jet streams to alert all of us on the ground that they had arrived and that the air show had come to town. Oh, how those Angels made everyone jump as they appeared out of nowhere, dropped us to our knees, and zipped across the sky in their shiny F/A 18 Hornets. Then, the day before the event, these rock star pilots swept into Veterans Memorial High School where they wowed the crowd, signed autographs, and left the children knowing that they, too, would one day be Blue Angel pilots, at least in their dreams. But, this story is not really about the Blue Angels. 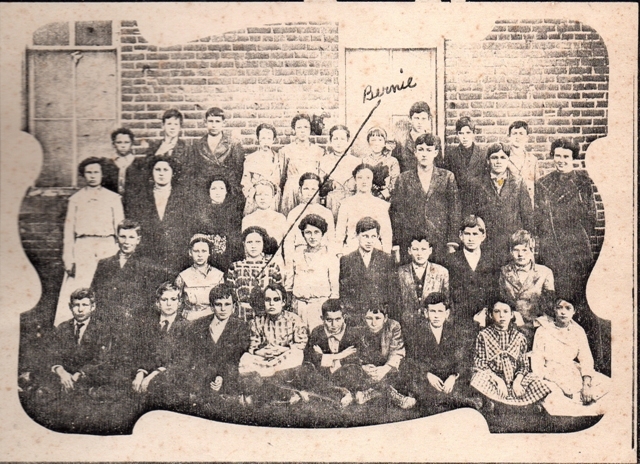 It’s about a woman named Bernie, born September 2, 1899, in Bowie, Texas, to J.M. and Minnie Lee Harlan, who roared into Flour Bluff in 1950. To understand this woman known as Bernie Arnold to the Flour Bluff community, it is important to take a peek into her early years. Coming of age in the Roaring Twenties seemed to shape Bernie. Growing up in a town with the name of an Alamo hero who helped carve out the West, Bernie started carving out a life for herself in a male-dominated world. As a little girl, she watched as automobiles replaced horses and buggies. She saw how the airplane brought the possibility of leaving the earth. Bernie evolved just like the world – fast and furiously. She was a self-liberated woman who never let anything hold her down, not even gravity. Bernie, like a handful of adventure seekers (mostly male) took up flying in 1927, just 24 years after the famous Kitty Hawk flight. She married young, the first time to Sam Coffman, an aviator and inventor. Coffman designed, built, and produced the Coffman Monoplane, a three-passenger cabin plane that sold for a few hundred dollars. He even tested a glider in 1930, which resulted in a broken leg, a broken ankle, and two broken wrists. The Coffmans were an aviation family, teaching their two sons, Sam and Jim, to fly at very young ages while big Sam continued to make a living giving lessons, building and selling planes, and creating a very successful business. Bernie later divorced Coffman and married Ross Arnold, her flight instructor. He was a barnstormer who took part in cross-country flights, so Bernie naturally turned to the life of a flying circus performer, going from town to town to show off her skills in loops and dives. This life introduced her to the likes of Charles Lindbergh, Wiley Post, Amelia Earhart, and even Howard Hughes when her husband Ross signed on as a pilot for Hughes’s film Hell’s Angels. 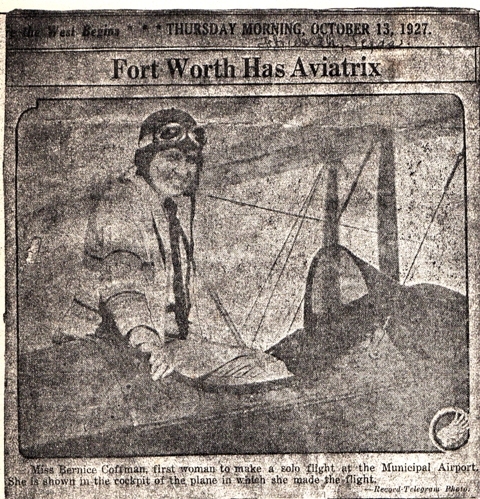 A barnstorming beauty, Bernie was the first female pilot to take off from Meacham Field in Fort Worth, Texas. She spent the succeeding years flying around the country and into the lower Yucatan jungles where she and Ross Arnold frequently flew across the Gulf of Mexico, hauling chicle’ from Yucatan to railroad terminals in Mexico. The gum business ended after three months of operation in 1927 when the natives became unexpectedly hostile to them. The duo then took their air show to the most remote points of the United States. 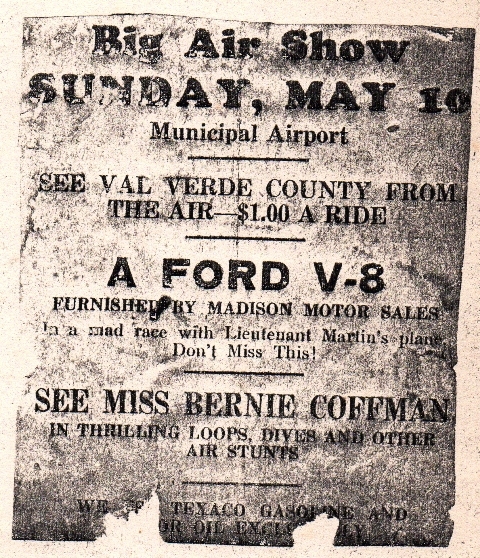 Recalling her barnstorming adventures, Bernie said, “First we’d fly over a small town and buzz it soundly so that all the people would be attracted. Then with all the town’s eyes on us, we’d land in a pasture nearby for the crowd to flock around. 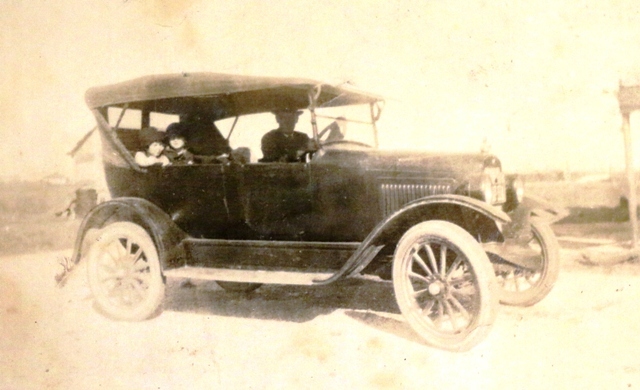 In order to make enough money to buy gasoline, we’d take up passengers.” Arnold lost his life in July 1929 while on an endurance flight in Des Moines, sponsored by the Des Moines Register newspaper. Miraculously, a reporter riding with Arnold escaped serious injury. This event brought Bernie’s barnstorming days to an end. This grounded Bernie for a short while, but she continued to have an interest in aviation. She became one of the few ticket agents in the country and went on to manage an air travel bureau for four pioneering airlines out of Ft. Worth, Texas, just 68 miles from her hometown of Bowie. With the coming of WWII, Bernie took to the skies again. Both of her sons became military pilots. Lt. Sam Coffman was a flying instructor who died in a plane crash in Pecos, Texas, while on a training mission. Jim Coffman served as an Air Transport Command pilot out of Palm Springs, California. 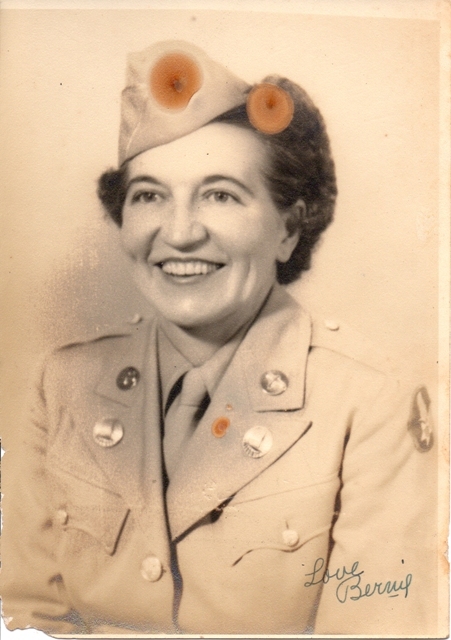 Bernie, with a desire to help the war effort coupled with her love for flying, volunteered for duty with the Air Transport Command, where she served until 1945. 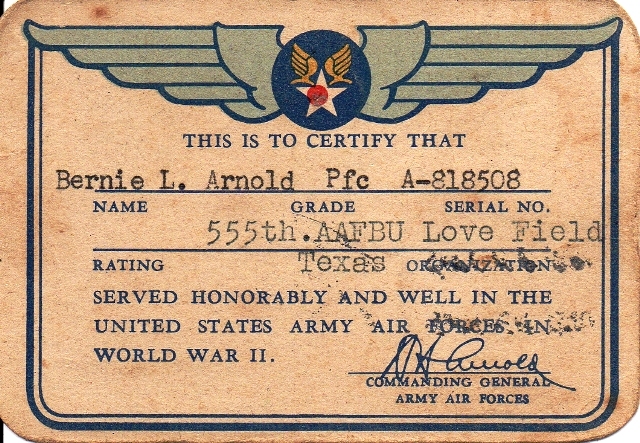 Bernie’s service to her country did not go unnoticed as she received an identification card on December 10, 1945, from Colonel R. J. Pugh that would grant her entry into any Air Force Station. 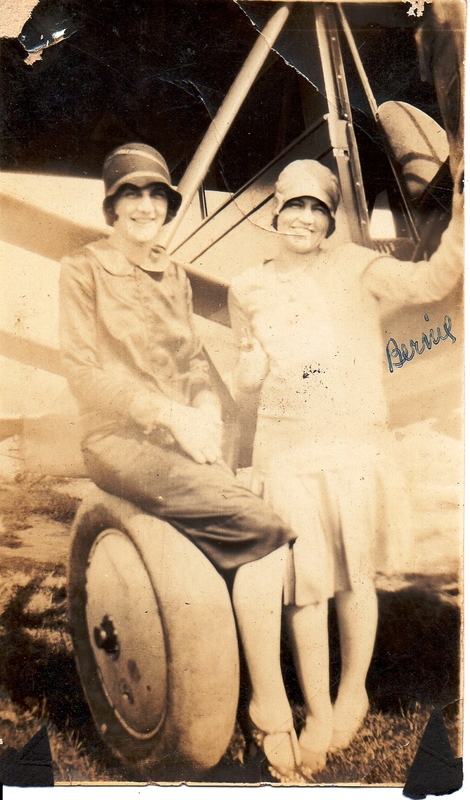 At the end of the war, Bernie hung up her wings and moved to Corpus Christi, Texas, at the invitation of her friend and fellow pilot, O. L. Holden. 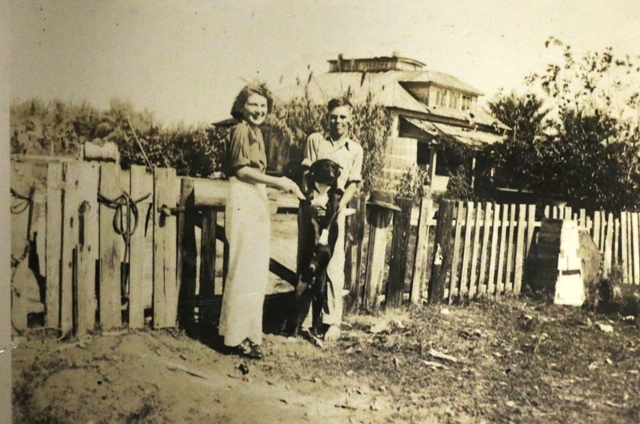 She and Holden went into business together, opening a sporting goods store on Water Street in Corpus Christi. They simply named it A & H Sporting Goods. “We were open 24 hours a day,” said Bernie. “We had to be. We didn’t have a door on the place.” Soon, she got wind of an effort to build a causeway across the Laguna Madre to Padre Island. Bernie’s spirit of adventure and keen eye for business prompted her to buy land at the corner of Laguna Shores Road and what is now South Padre Island Drive. The new causeway opened in 1950, and her new sporting goods store sat in the perfect place. Thousands of visitors to Padre Island stopped in at A & H Sporting Goods, owned and operated by Bernie and her son Jim Coffman. Bernie’s arrival in Flour Bluff, Texas, would lead her to new heights in business, local politics, and community service. Bernie would become a key player in Flour Bluff, the little town that almost was. 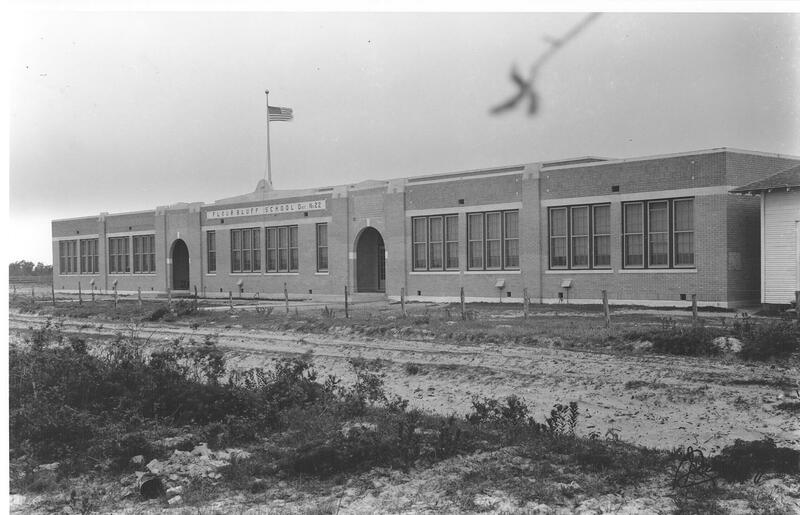 Since the posting of article #2 in this series, more information regarding the 1943 Flour Bluff High School that was later converted to the junior high has come to light. 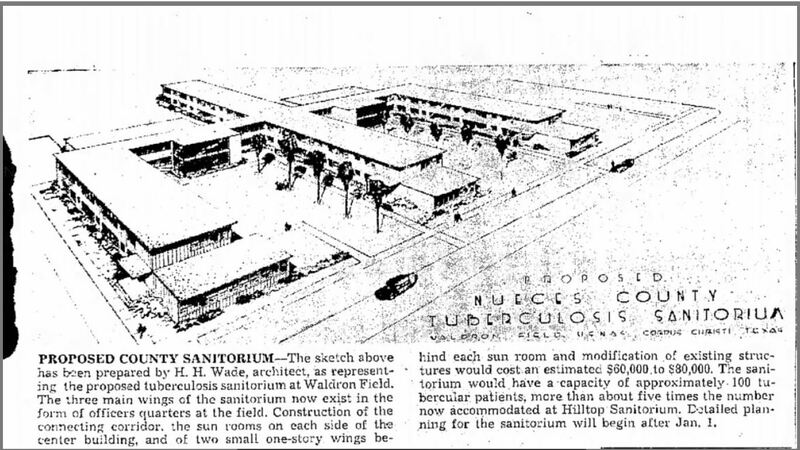 On April 1, 1943, Waldron Field, one of the two auxiliary air fields in Corpus Christi still in use, was commissioned. Today, young Navy pilots use it to practice landings, with the southeast corner dedicated in the early 1970s to little league fields for the children of the Flour Bluff community. The partnership between the United States naval base that sits on the northern part of the Encinal Peninsula and the Flour Bluff School that sits on the southern part is one that changed Flour Bluff forever. 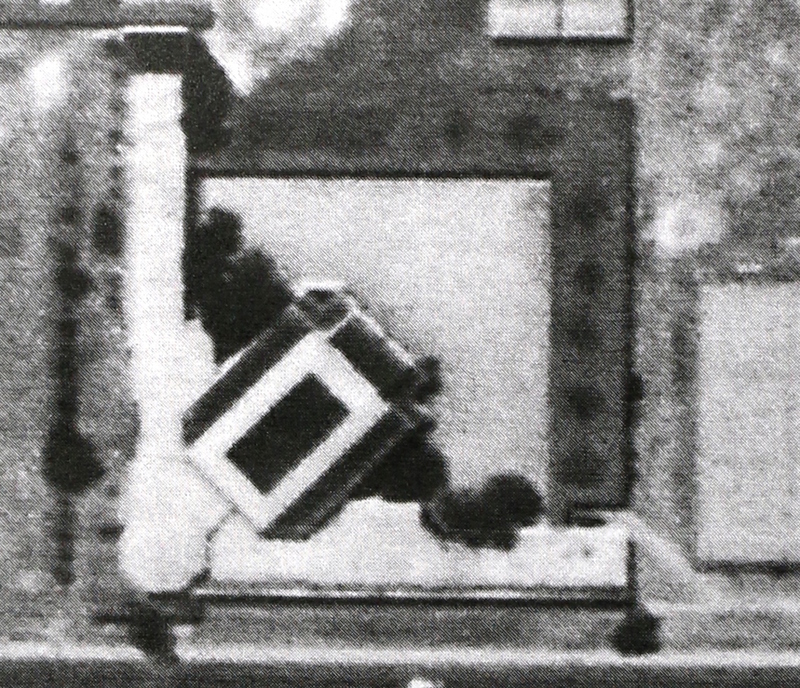 The building in the bottom left corner is the school built by the federal government in 1943, the same year that Waldron Field was built. 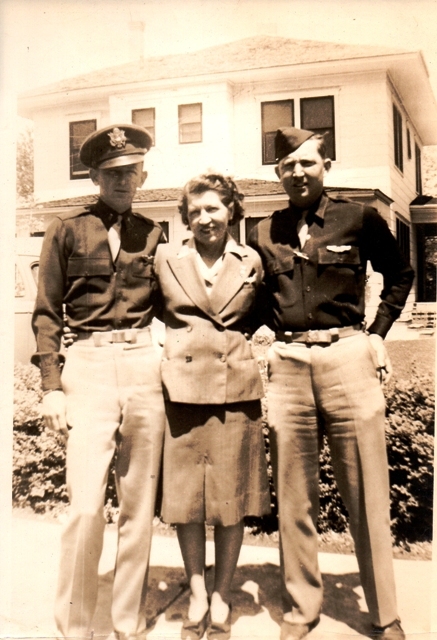 The arrival of military personnel in 1941 often brought families, too. County School No. 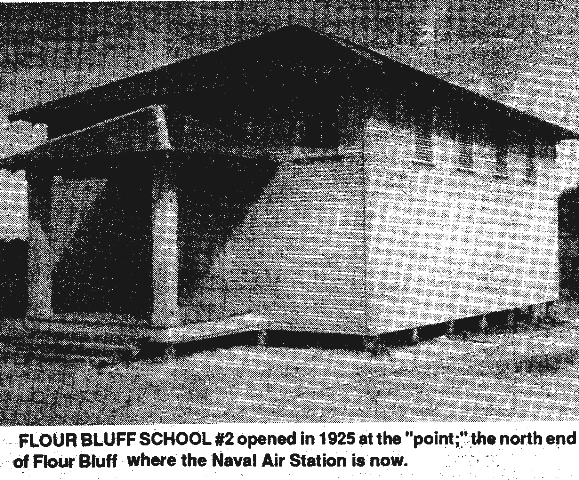 22, aka Flour Bluff School, boomed like so many schools in the area with the influx of new residents to the area, attracted to the Naval Air Station. 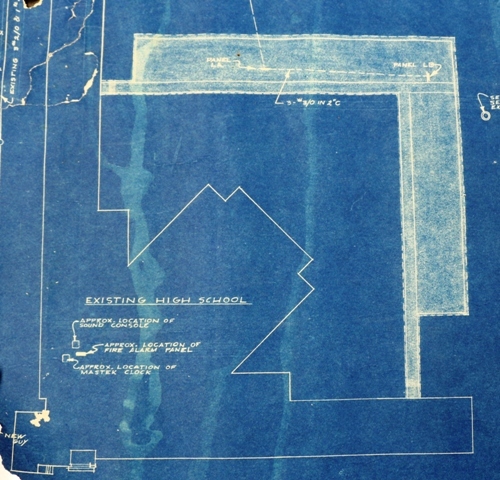 In response to the need for additional classrooms, the Public Buildings Administration of the Federal Works Agency awarded a contract for construction of a junior-senior high school at Flour Bluff to Chamberlain & Strain, Corpus Christi and San Antonio contractors, for $150,872 in April of 1942. 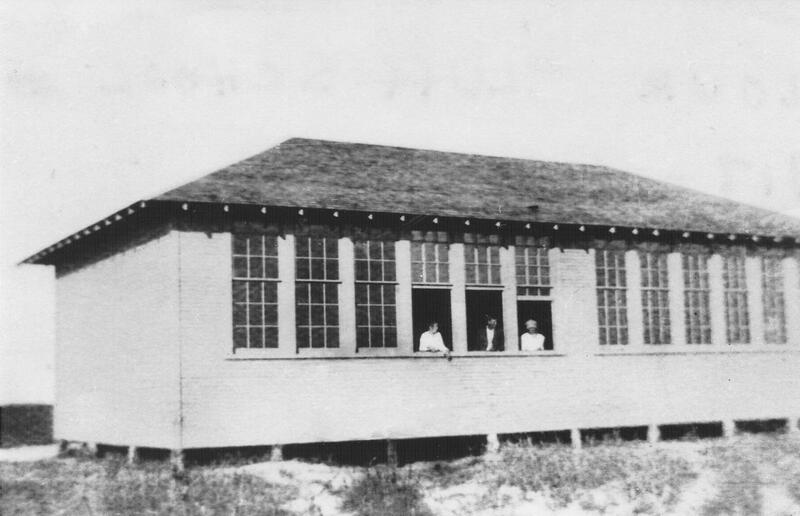 The school pictured above was not completed by the start of the fall of 1942, but it was ready to house the additional students by the 1943-1944 school year. In 1948, under the leadership of Superintendent E. J. Wranosky, Flour Bluff residents voted to become an independent school district. Still the relationship between the base and the school continued to strengthen. 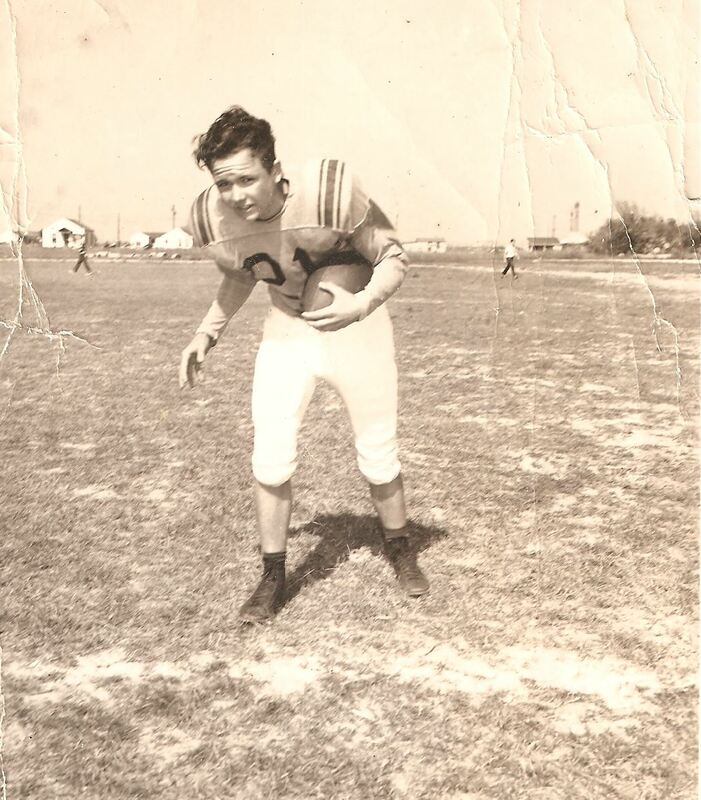 John Wranosky (son of E. J. Wranosky who graduated Flour Bluff in 1964 and went on to work in the Maintenance and Transportation Department of the school for many years) said that the high school remained the property of the federal government until 1953 when they sold it to FBISD for $1.00. He also answered the questions about the unusual shape of the building. When I attended that school, I remember buying snacks at a concession stand that was attached to the back of the gym and faced into the patio/courtyard area. I also recall many a naughty boy receiving swats in the middle of that patio. Our teachers would not allow us to look as the punishment was meted out, but the sound of the paddle echoing off the walls that surrounded the patio was deterrent enough – at least for most of us. This is not a criticism of school personnel “licks” to students; it’s just a memory of a time gone by. At least, now we have the rest of the story surrounding the old high school and a bit more information on the active role the Navy took in helping Flour Bluff, the little town that almost was. In the past few weeks, I have been inundated with all kinds of stories about Flour Bluff and Flour Bluff Schools. One of my favorites came from Don Crofton, Flour Bluff resident since 1946. His story is attached to the wooden building just to the right of the main school building in the picture above. It was a pier-and-beam building that was used as the cafeteria. As Don tells it, many of the children who attended the school sometimes forgot their lunches, or the family had nothing to send for them. To fix that problem, the lady who ran the cafeteria, Mrs. Dody, always had a pot of beans ready to serve anyone who had no lunch. This filling meal became known as “Dody’s Beans.” She had a free lunch program going even then to take care of the children she served. Crofton also told me that he remembered a “lighthouse-type” structure at the top of the high school building. He said it was lighted by the sun but did not actually send out a beam of light. This really peaked my interest, so I started asking what others recalled. Greg Smith, lifetime resident of Flour Bluff, local historian, and current District 4 councilman, told me that he remembers a story about the shape of the building being made to resemble a plane, which would make the “lighthouse” the “cockpit.” Though he admits the story makes good sense considering how much influence NAS Corpus Christi had in Flour Bluff in the forties, but he could not validate the story as the absolute truth. If you have a story to tell about the history of Flour Bluff, please send it to shirley.thornton3@sbcglobal.net. My goal is to gather the stories and share them so that they don’t get lost over time. Together we should be able to piece together the history of Flour Bluff, the little town that almost was. Note: All add-ons and corrections to existing stories are welcomed and encouraged. We want to be as accurate as possible. 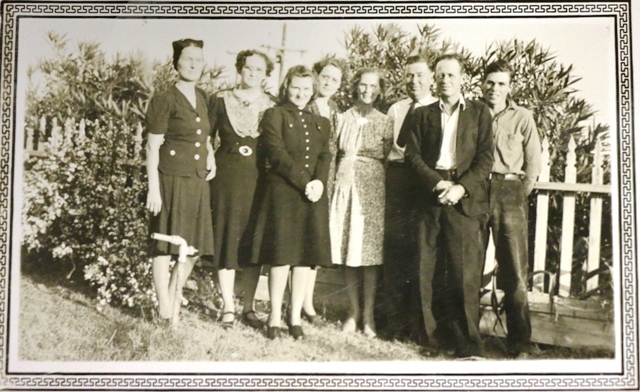 Dorothy Arnold, an educator and administrator who worked side-by-side with Mr. Wranosky, wrote this first-hand account as a historical record of all that Wranosky did for Flour Bluff students in his 30 years with the district. No doubt many superintendents have come and gone in the 54 years before and 41 years after Wranosky, but none can compare to the man who put the community of Flour Bluff on the map by creating a school like no other, a school with a reputation for excellence and innovation that spread around the world, primarily via NAS Corpus Christi personnel. It should be noted that Dorothy Arnold was instrumental in helping Wranosky bring his vision to life. 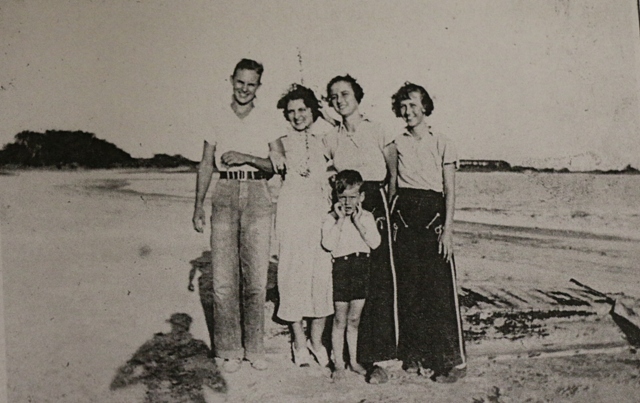 On July 10, 1946, Ernest J. Wranosky, Sr. held his first board meeting of Flour Bluff Common School District#22, a community on a peninsula of sand dunes, salt flats, scrub oak and sandy trails, with one paved road (Waldron Road) through the Bluff and another (Lexington Boulevard, now Padre Island Drive) to the Naval Air Station. There were sixteen teachers, two janitors, and the superintendent, with 188.9 average daily attendance at the close of the 1945-46 term and approximately 350 students at the beginning of the 1946-47 term. The school district owned five classrooms (the old primary building), four acres of land, cafeteria, shop, home economics cottage, and four teacherages. Classes were held in the old section of the present junior high school which was built and owned by the Federal Government. Members of the board of trustees at that time were Henry Brown, Joe B. Killian, and Arthur W. Whitener. The assessed value of the district was $1,800,000 (about $5000 per student) on a tax rate of $1.50. The first task facing the new superintendent was to secure financing from the State of Texas for a full year (nine months) of instruction through the Rural Equalization Aid program. Wranosky began renovating buildings on the campus, moved in a building to serve as a cafeteria, and added teacherages to attract personnel to make application in the school district. At one time during this period, 22 families lived in school-owned housing. 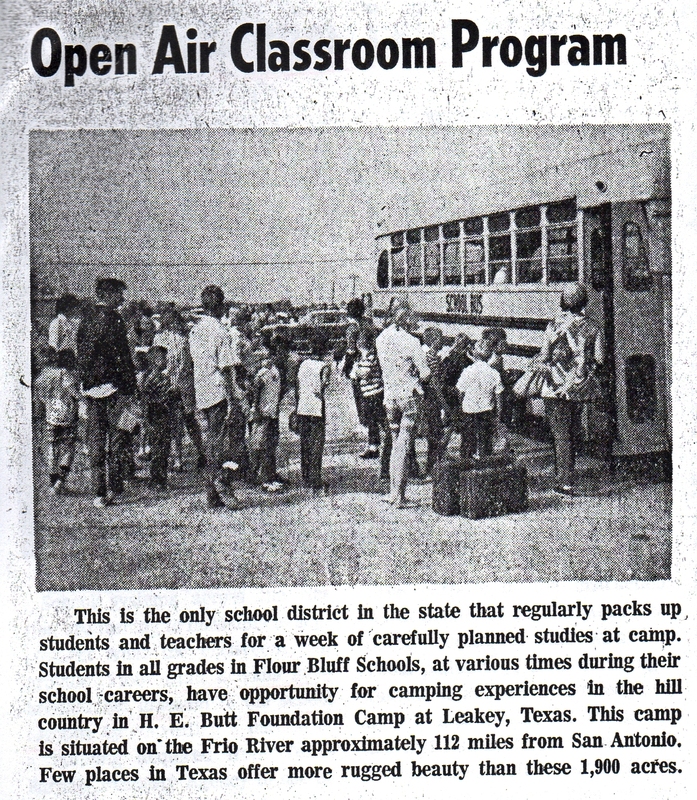 In April, 1948, residents of the Flour Bluff community voted to become an independent school district. The district hired a tax assessor and has maintained its own tax roll since that time. 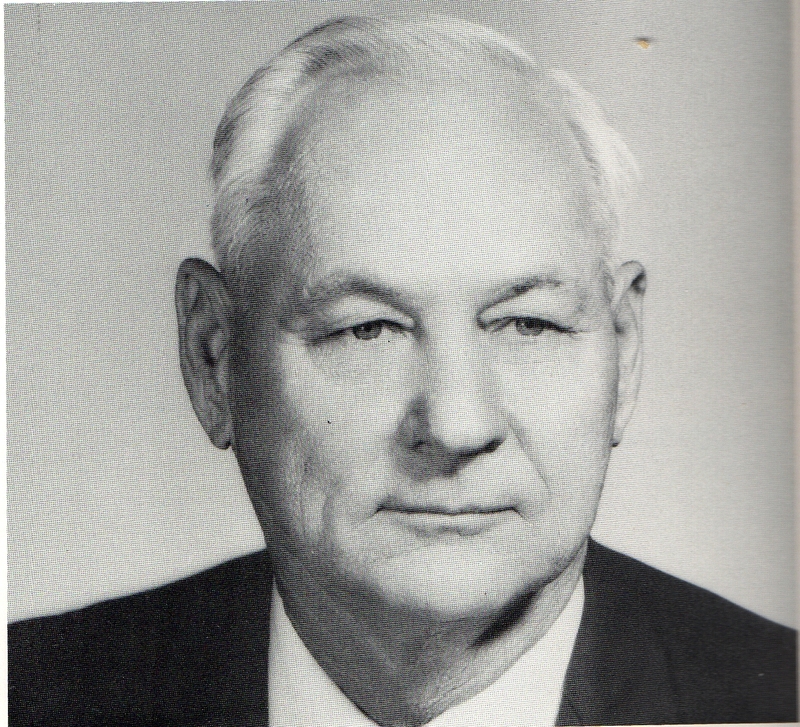 In May, 1954, Mr. Wranosky was responsible for extending the boundaries of Flour Bluff I.S.D. from 38 square miles of land surface to 56 square miles of land surface. 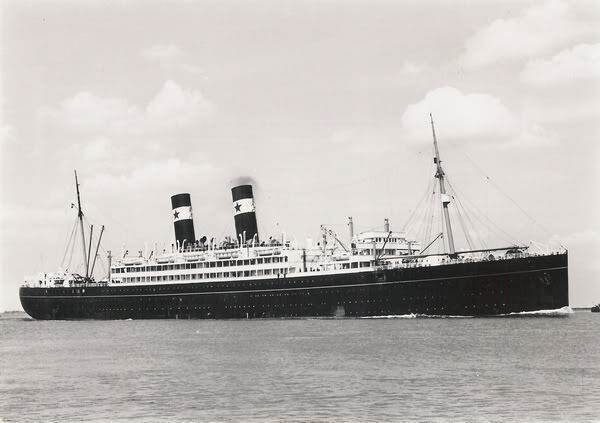 Also included were 100 square miles of water surface. The district included parts of Mustang Island and Padre Island. Each year funds were committed to a construction project, and as time went on, auxiliary buildings, many of which were government surplus available at low cost and renovated with local (including student) labor, were added to the campus. In addition, Wranosky was instrumental in securing funds from the Federal Government for classrooms and related instructional areas and laboratories. Original high school that became the junior high when the new high school was built . During his 29 years of service as superintendent, Wranosky worked with 42 board members at 541 regular/special board meetings and missed only one meeting. Those serving at the time of the election for an independent district were Henry Brown, Joe B. Killian, and J. W. Roper. Those elected to serve on the new board were S. F. Hawley, president (formerly the superintendent of Flour Bluff Common School District), Joe B. Killian, secretary, Henry Brown, J. W. Roper, H. E. Johnson, Walter E. Bechtel, and W. F. Cutler. Former board members who served with Wranosky and who are known to be living today are J. W. Roper, George F. Merzbacher, Sr., Edgar L. Barnes, H. W. Grabowske, Sr., R. C. Seeds, Sr., Jesse H. Bond, Edward R. “Bud” Graham, H. E. “Eddy” Savoy, Tom C. Witherspoon, Calvin Ramfield, M. K. Smith, Colvin E. Smith, Joe B. Killian, W. T. Talley, Sr., W.H. “Bill” Cofer, W. R. Duncan, Allen L. Hockley, Sr., D.O. Holder, H. E. “Bud” Johnson, E. L. Pharis, Virl Preston, and Doyle Rains. Over this period of time, 52,896 students were enrolled in grades K-12, 1,865 students were graduated, and 746 professional faculty members served. With a sharp eye for sound spending and close surveillance of tax dollars, Mr. Wranosky initiated new programs and new buildings on current financing. During the years 1972-73, 1973-74, and 1974-75, major construction projects, including 30 high school classrooms (1972-73), 48 elementary classrooms, an office complex, library and satellite cafeteria (1973-74) were completed and paid for out of current tax funds. The buildings are all fully air-conditioned, and the elementary building is fully carpeted. The cost of these buildings was about $17.00 per square foot. The architect was C. V. Tanner, and the builder was E. Eisenhauer. The high school library was designed with the assistance of top level librarians, using American Library Association standards to meet the basic requirements of 2,200 high school students, allowing for study carrels for all basic academic areas, a teacher workroom, a processing area, and an area for audio-visual listening and preparation. The faculty, in curriculum development work, outlined a vocabulary to be taught at each spot along nature trails at camp. The camp is a paradise for student learning and meditation. As to extra dividends gained through camp experiences, Wranosky stated, “We’ve had children who were impossible to reach in the classroom, but somehow they came around at camp.” He should know. He has authorized and watched groups from the second grade through the twelfth. Since 1952, he has overseen the organization of activities and has, at times, accompanied the groups to and from the camp. E. J., as he is referred to, had a passion to experiment, learn, and innovate. As a young boy in the Territory of New Mexico, he learned by doing the work of farming, ranching, dairying, and livery stable operation. It was his lot to work, work hard. And with the dignity of honest labor, he learned other simple virtues, such as family loyalty, a love and interest in one’s neighbors, the meaning of honor and respect for old teachings. Family ties were strong, and the Golden Rule was not vague philosophy, but taken literally. He completed his high school education in Woodsboro and Victoria. During these years, he worked in an automotive garage and has put this experience into practice on many occasions. He was awarded an associate degree from Victoria Junior College and Bachelor of Arts and Master of Arts degrees from Texas A&I College in Kingsville. He has completed the doctoral course work at the University of Texas and the University of Houston and has done all the research work on his dissertation. He earned a teaching certificate from Victoria Junior College and took a job in Victoria County serving as principal, teacher, coach, and custodian. He moved to Woodsboro and served in the Bonnie View I.S.D. as principal, teacher, superintendent, and coach for 11 years prior to coming to Flour Bluff. Mr. Wranosky is convinced that educators have an obligation to assist in improving their community through service in various civic activities and organizations. He has been instrumental in organizing the Boy Scout troops and has been given the Silver Beaver Award. He is a charter member of the Flour Bluff Lions Club and has served in many capacities in this organization. He became a charter member of the Southside Kiwanis Club. He is a director of the First National Bank of Flour Bluff. 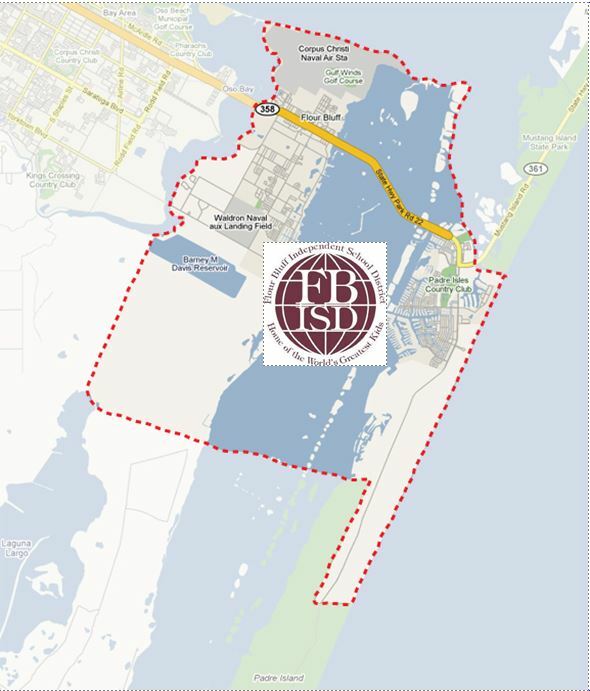 The expansion of the plant of Flour Bluff I.S.D. in both physical size and quality and quantity of offerings during Wranosky’s tenure is indeed achievement. While he has accomplished much, he has retained the personal and lasting respect of those who know him as a man of personal as well as professional stature. 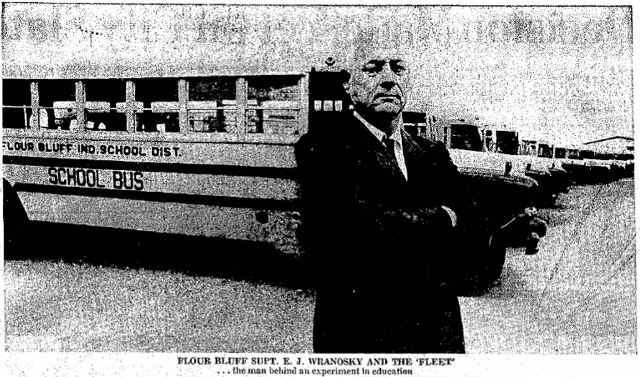 Through his selfless devotion to the welfare of Flour Bluff I.S.D., Mr. Wranosky developed an enviable level of respect for the administration of the school. He was never too busy to assist where help was needed. He had the courage to tackle the biggest problem – such as moving the steel framework for the physical education building – and compassion to help a custodian, neighbor, or a student who had a personal problem. Frequently, he would hear of a student who was having a particularly difficult time with his academic work. He would make arrangements to have that student report report to his office regularly for a given period of time in order to counsel the student and attempt to work with him to gain a success pattern in a given course or find a chore that he could perform. His door was always open, and he was ready to listen, provide a message of hope, and a plan of action. A former student said, “When we had a problem, Mr. Wranosky was always willing to listen and advise us in a wise and kind manner.” They expressed genuine appreciation for his empathy, patience and understanding in his work with pupils, teachers, and parents. 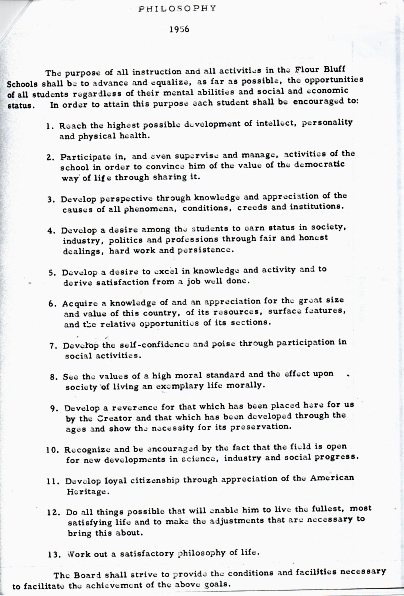 The current emphasis in education, which focuses attention upon the needs of the individual students, reflects the basic philosophy which has motivated E. J. Wranosky, Sr. for these many years. During the thirty years that Ernest J. Wranosky has served Flour Bluff I. S. D. as superintendent and consultant, the system has faced numerous problems, not only in its growth from 350 students to over 3,000, from 16 professional employees to over 200, from 15 graduates to 140, but in other areas, as well. His professional, calm, and well-defined approach to each of the problems – finances, hurricanes, personnel, equipment, tax issues, buildings – is indicative of the high quality school system he has helped mold for the citizens of Flour Bluff. His leadership abilities have brought honor, stature and recognition from throughout the state, nation, and even foreign areas in which students and personnel have reflected his standards. His entire sojourn has been dedicated to the youth and citizens of this area and to improving their education. He has appreciation and regard for others and the talent to communicate.